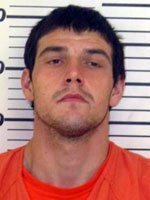 The Osage County Sheriff’s Office arrested a suspect in recent numerous local vehicle thefts on Saturday night after a pursuit and manhunt in rural Osage County. 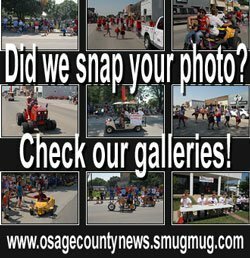 According to the sheriff’s office, Saturday evening, Jan. 14, 2017, an Osage County Sheriff’s deputy spotted a person driving a suspected stolen pickup truck at 189th Street and U.S. Highway 56. The deputy pursued the vehicle to the area of 205th Street and Fairlawn Road, where the vehicle was found in a field and the suspect had fled on foot. The pickup had been stolen from Overbrook earlier in the day. With assistance of the Kansas Highway Patrol’s aircraft and K-9 patrol, and other local law enforcement agencies, the suspect, later identified as Samson Davenport, 27, of Osage City, was located and arrested without incident. Davenport was booked into jail on an Osage County warrant for violation of the Kansas Registration Act, fleeing and eluding, possession of stolen property, and traffic infractions. The sheriff’s office reported that Davenport is a suspect in approximately 15 vehicle thefts that have occurred since Jan. 3, 2017, around the county. 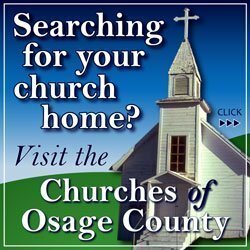 Osage County Sheriff Laurie Dunn said the cases were turned over to the Osage County Attorney for prosecution. As of yesterday, Davenport’s bond was $25,000. 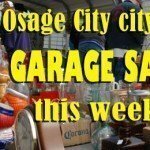 The cases are still under investigation, and anyone with any information about the thefts is asked to contact Osage County Crime Stoppers at 877-OSCRIME or 877-672-7463, or the sheriff’s office at 785-828-3121.